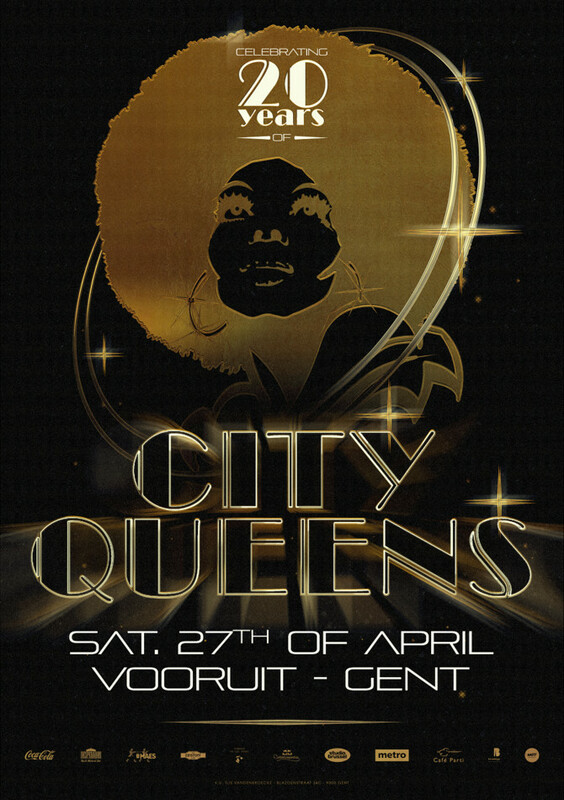 City Queens was founded in ’99 when Ghent’s vibrant nightlife scene was waiting for something new. Street culture was flourishing back then with lots of great initiatives. From parties to expo’s, from battles to concerts… but it needed an extra touch. Something classy, something ladylike, something clubby. With a little help from the music industry, rappers and hip-hop producers started collabs with R&B singers, City Queens was one of the first party-concepts to focus on this sound. Lots of Belgian and international pioneers have performed at this legendary concept and - combined with beautiful graphic designs and an open-minded policy - CQ became a well-respected name in Belgium’s urban culture. CQ stayed true to its roots: strictly classic R&B, Hip-Hop and Dancehall! On Saturday, April 27th, you can be part of this cosy celebration with some of the finest selectors in the country… some of which on our team since ’99. A big thank you and shout-out to ALL DJs, MCs, sponsors, VJ's, dancers, graphic designers, promo-teams, bar & security crew, light & sound engineers, production teams and of course YOU! For dancing, singing, liking, supporting and spreading the love.